Woodmen Nissan is your Monument used car dealer. For the best prices and selection, stop by our lot and browse our selection of used cars including a large selection of Nissan models. You can also check our online portfolio of used cars in the Monument area. We guarantee you’ll find a car you like at a price you’ll love. Woodmen Nissan features over 1,000 used cars for you to test drive, so you’re sure to find just what you’re looking for. From Nissan Pathfinders, Altimas, JUKEs, Frontier, and Muranos to the Rogue, and Sentra, we have the best selection of used Nissans in the Monument area. Woodmen Nissan doesn’t just offer a nice selection of used Nissans, we also have popular models from Chevy, Ford, Chrysler, and more. We can even help you find hard to find Nissans like the Altima Hybrid model or the Crosscabriolet. The Nissan JUKE is ranked #13 in affordable compact SUVs in America for 2014, and for good reason. U.S News gave it nearly 8/10 stars and praises improvements made over earlier models. If you’re looking for an Xterra, JUKE, Frontier, or Sentra, Woodmen Nissan is the only used car dealer in Monument you need to visit. 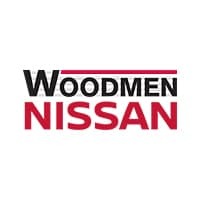 Superior service is part of the package when you shop with Woodmen Nissan. We want to make your used car buying experience stress free and enjoyable. You can use our website to research available used cars, call our dealership to speak with a sales professional directly, or stop by Monday through Saturday between 8:30 AM and 9:00 PM for immediate assistance. We treat our customers like family and offer a 3-day exchange policy, and exclusive warranties on certified pre-owned Nissan vehicles. You won’t be disappointed when you shop with Woodmen Nissan for your next used car in the Monument, Pueblo, or Colorado Springs, CO areas. Call us today, (888) 491-2693. Located in nearby Colorado Springs, Woodmen Nissan is proud to support our local community. If you’re in the market for a new or certified pre-owned Nissan, why not buy from the Nissan experts at Woodmen Nissan. When it comes to sales, service, parts, and repairs, Woodmen Nissan offers expert advice and exceptional care long after the sale. Securing financing for your new or used car can be a hassle, but at Woodmen Nissan, we make applying for a used car loan easy. We’ll help walk you through every step of the process. Our financing department is prepared to work with nearly any budget and even those with no credit history. We’ll help you secure competitive rates on a loan or lease. Call us today or stop by and test drive your favorite Nissan model, (888) 491-2693.